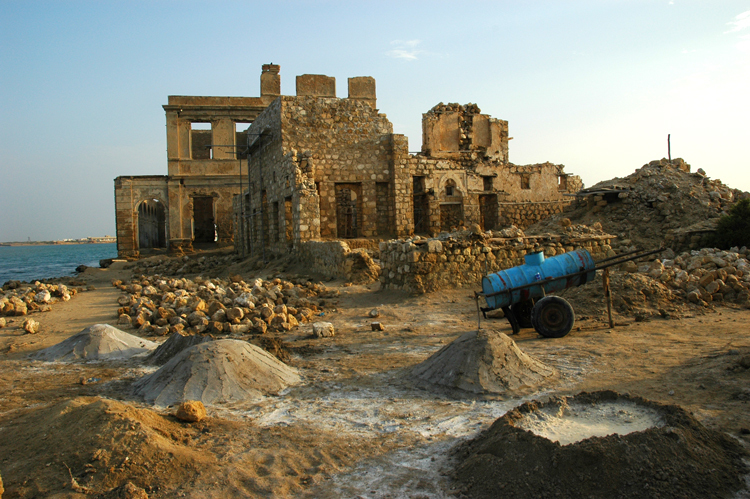 People have been fighting over Suakin since ancient times. 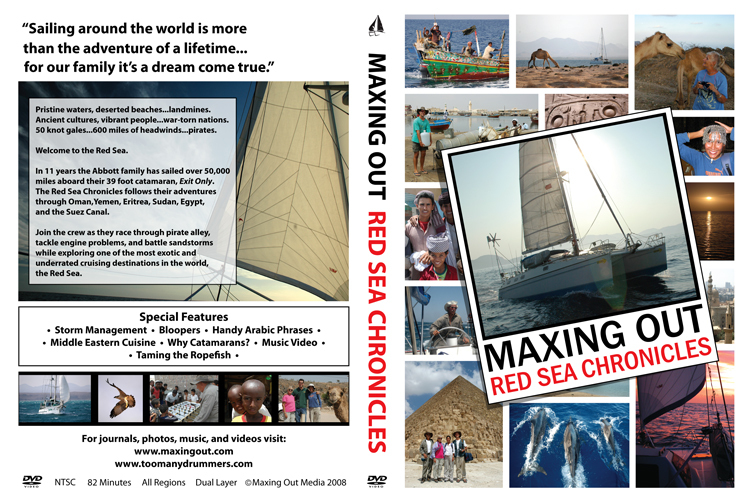 Its natural harbor made it a valuable port in the western Red Sea. 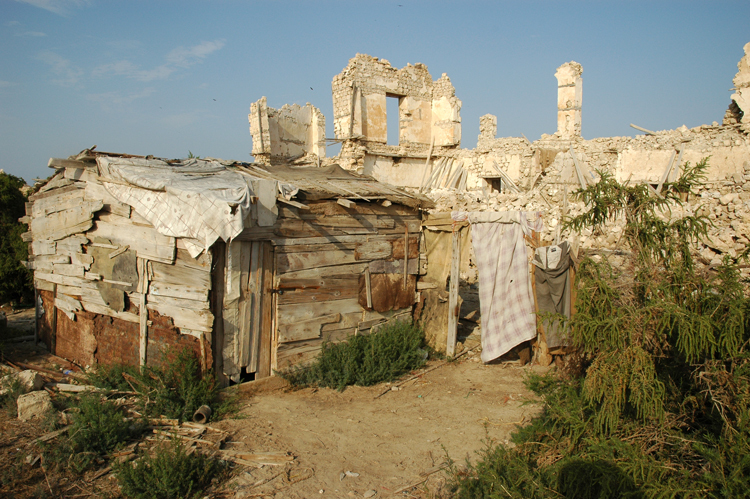 Today, only a few people, mostly caretakers, live in Old Suakin. 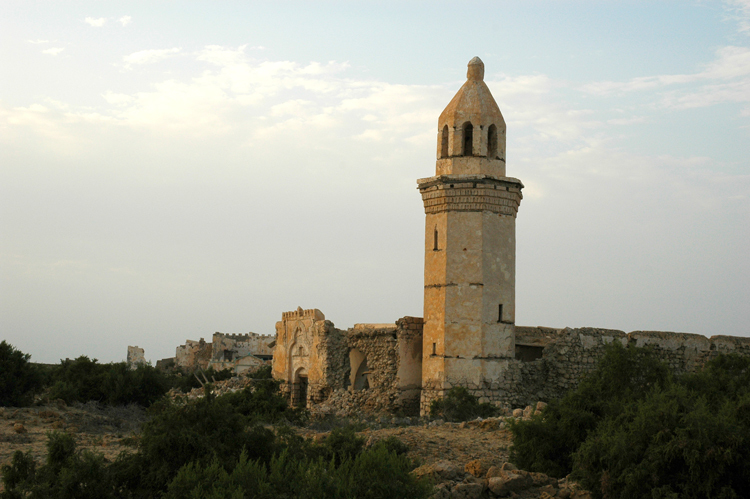 A few buildings in an advanced state of disrepair remain standing, and several structures are undergoing restoration. 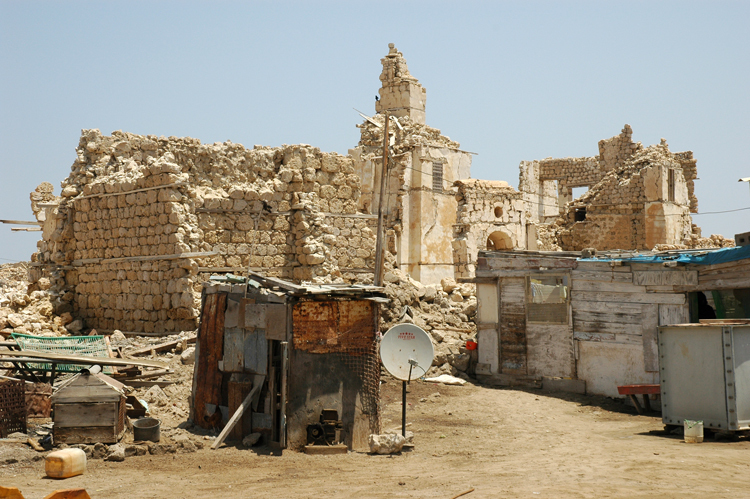 Suakin looks like an earthquake happened only yesterday reducing most of the walls and buildings to a pile of rubble. Ancient cannons guard the gates at the entrance to town, and other canons remain strategically placed in front of former government buildings. 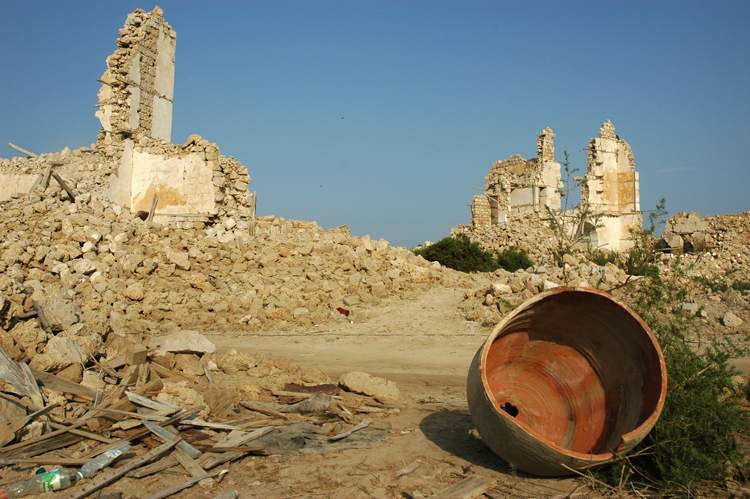 It's fun to explore the ruins of Suakin, and as long as you don't use a video camera, the caretakers let you roam at will. 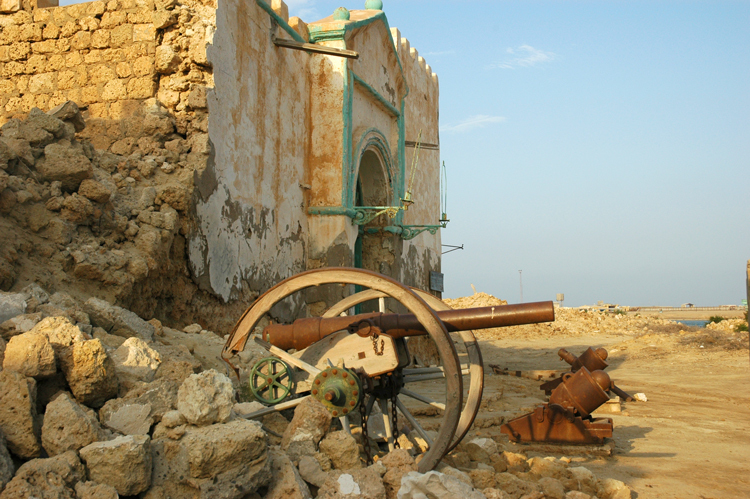 Small canons like these are strategically placed around the perimeter of Suakin. 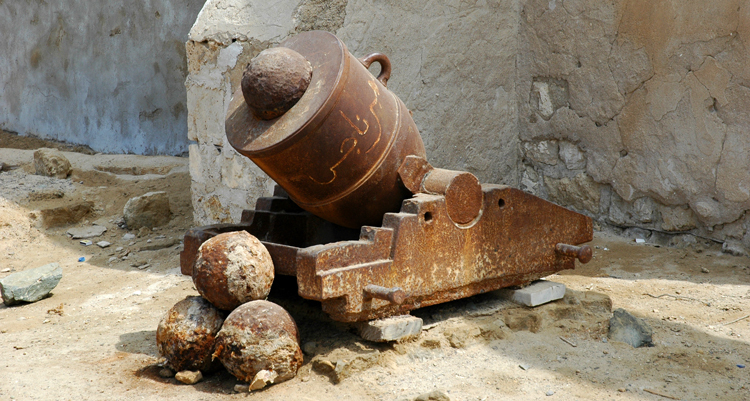 At one time this cannon could be moved around on wheels, but now the wheels are gone. 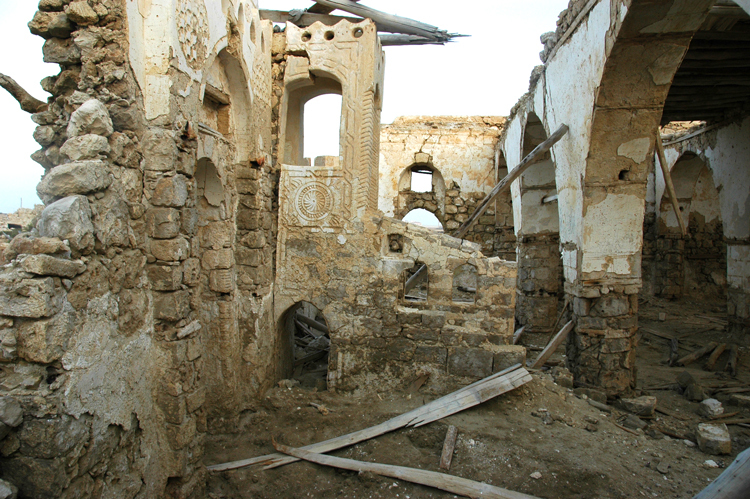 Several caretakers have residences inside the walls of ancient Suakin. 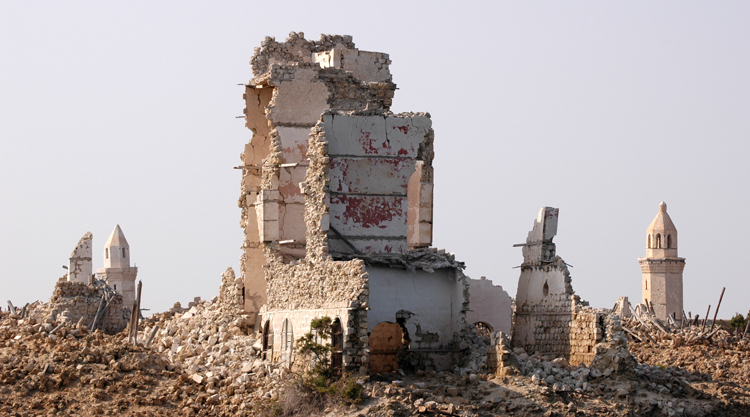 They can watch over the ruins and participate in restoration projects in this historical landmark. The Treasury Building is undergoing slow restoration using traditional methods of construction. A water carrier is parked next to piles of sand and lime used in the reconstruction project. 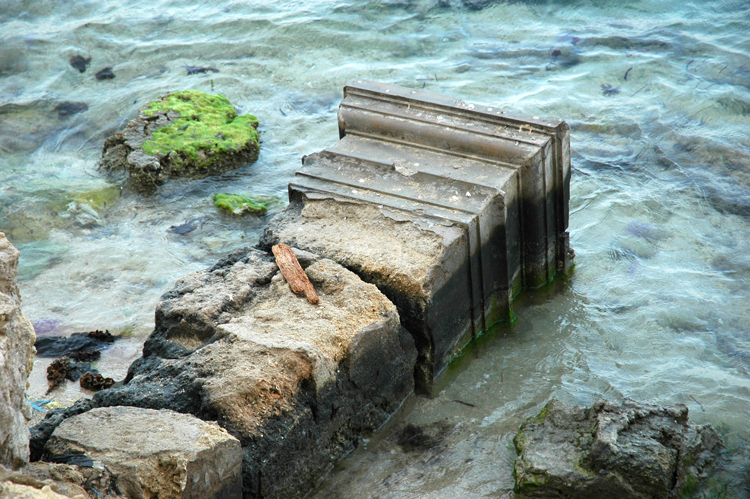 One of the ancient pillars of the Treasury lies in the water awaiting restoration. 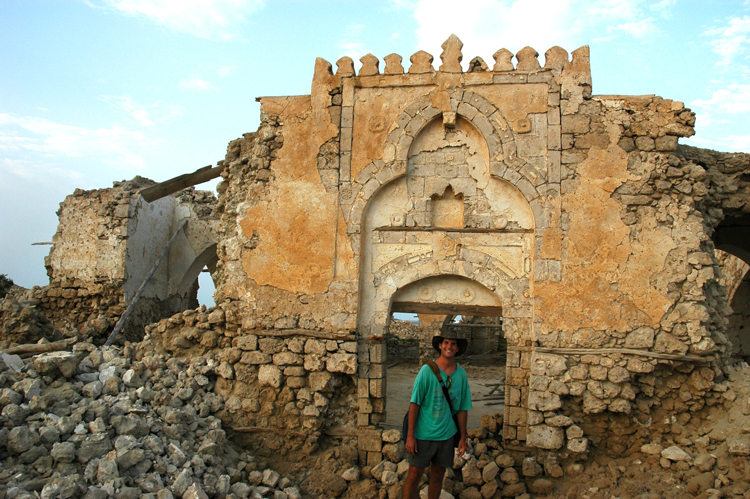 The ravages of time and weather take a toll on the grand mosque of old Suakin. The walls gradually crumble under the relentless wind and intermittent rain. David stands outside the main entrance to the mosque. In its interior, the mosque has an elevated station from which the imam can read the Koran and lead the faithful in their prayers five times a day. The center of the mosque has a large courtyard, and just outside the courtyard are chambers and corridors where people can say their prayers. This is all that remains of a what appears to be a four or five story building. 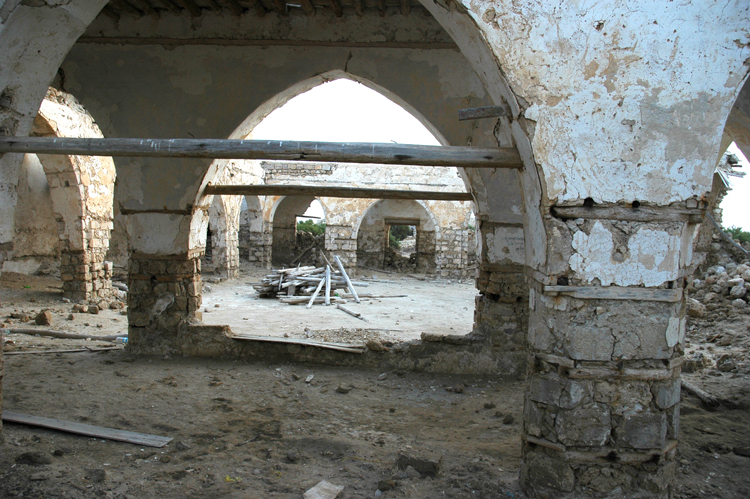 Suakin was a major commercial center, and security was important to the taxing authorities and to people who lived there. That's why you see so many walls and cannons around the town. This government building is well endowed with cannons reminding everyone that the Emir is in charge. Nothing good can come from having an angry Emir take an interest in your life. 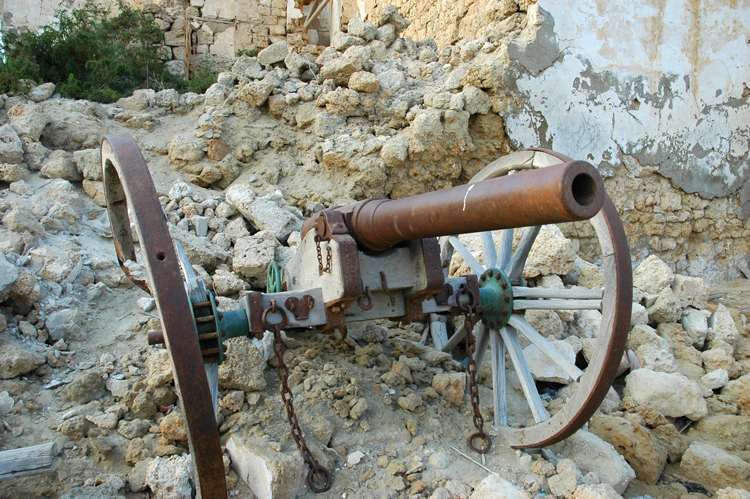 This may not be a weapon of mass destruction, but when they fired this cannon, people paid attention. Nothing lasts forever. Every civilization and culture endures for a time and then disappears into obscurity. The old ways of doing things pass away, and new ways take over. The satellite dish in the foreground shows that the media now rules the hearts and minds of the masses. This picture would be even better if there was a cannon next to the satellite dish. After all, if you can't control their hearts and minds with media, you can probably win them over with the power of intimidation. When push comes to shove, cannons still rule the earth.